A collection of writing and images on the theme of ‘Going Home’. A word from our guest editor Sinead Keegan…..
Reading through the submissions for this issue of The Seethingographer was a peek behind the curtains and around the corners of the spaces people call home. These pages are filled with the nuances of what it means to go home, from Alan Boyce’s gritty reality of homelessness to the hearth fairy of Julia Rose Lewis. 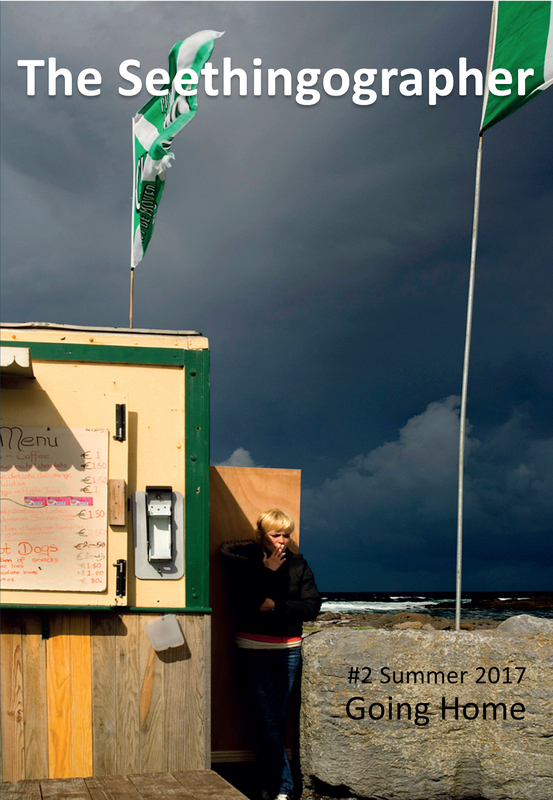 Sometimes we find ourselves on the threshold, neither home nor away from home, as in Roger Leege’s ‘Fast Food’ which showed me a moment from my own childhood, and Maite Lisa Jordao’s permanent liminal emigrant existence ‘Coming Home’. Whether you know the places described, or they are alien, like Jim Lawrence’s cosmic view ‘Super Ape’, at the heart of all the pieces is the home we all know or perhaps long for. Enjoy the journey. Enjoy the homecoming. Roger Leege, Ahrend Torrey, Adrian Ernesto Cepeda, Julia Rose Lewis, Pat Cann, Marc Stanley, Alan Boyce, Maite Lisa Jordao, Devon Balwit and Jim Lawrence.